Whenever Disney is doing a refurbishment or adding something new, they do a nice job of "decorating" the construction walls. 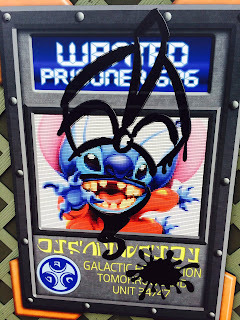 This Stitch poster can be found on the bridge between the hub and Tomorrowland at the Magic Kingdom. 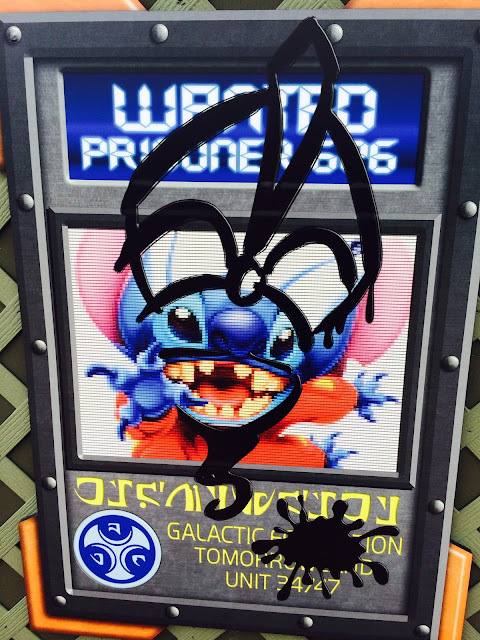 Of course, the little alien decided to alter his photo with a little graffiti! I took this shot last week while doing some tour research.